Business and property owners, and property managers, have a legal duty to use reasonable care to ensure the safety of patrons, guests and residents. When the owner or manager of a business or real estate has knowledge of an unreasonably dangerous condition on the property, the owner is obligated to repair or otherwise remedy the condition, or warn of the danger. If the owner or manager learns of a dangerous situation, like criminal activity, the owner is required to provide reasonable security, give warnings, or take other reasonable measures to make the premises reasonably safe. When inadequate security or negligent maintenance at a business property results in injury or death, the victims or their family may have a claim for compensation or damages under Arizona premises liability law. The Tucson law firm of Bache & Lynch represents clients who suffer serious personal injury or the wrongful death of a loved one in accidents caused by negligent security, dangerous conditions, or lax safety measures on residential or commercial properties throughout southern Arizona. 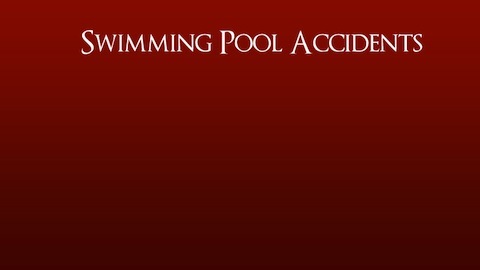 Swimming pool injuries caused by missing or defective safety equipment, dangerous or faulty drains, or inadequate supervision. Brain injury resulting from falling debris, equipment or merchandise. Severe injury or death resulting from criminal acts like robbery, assault or homicide on commercial premises such as night clubs or in parking lots with inadequate security or improper lighting. Accidental injury or death resulting from a fall or other incident caused by a dangerous condition. Sexual assault on the grounds of a public building. Our experienced attorneys also handle cases of school or day care liability in situations in which children are severely injured due to a negligent lack of supervision. We fight for full compensation in premises liability claims and lawsuits. Explore the following resources that may offer help for you and your family after you have been injured or lost a family member as a result of a criminal act. To discuss your rights and legal options under premises liability law regarding an accident caused by negligent maintenance of a dangerous condition or assault caused by inadequate security, please call our Tucson personal injury law firm at 520-293-5300. You may also contact us by using the Contact Form above for more information or to schedule a free consultation with an experienced lawyer.